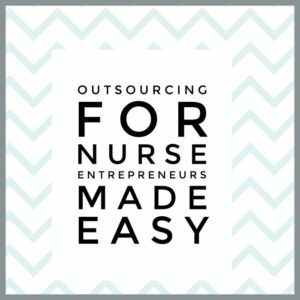 Leverage your time and earn more in your business through Outsourcing for Nurse Entrepreneurs Made Easy! Learn how to get out of overwhelm, effectively ask for help and hire the right teammates for you! There is an easier way to get more done with less stress – delegate! Running a successful business can be hard. There’s so much to do and learn that it’s easy to feel overwhelmed, out of your element and just plain scared about what to do next and how to get it all done. You know nurse delegation. Now we apply those principles to running your business more efficiently so you save time and earn more money in your business. 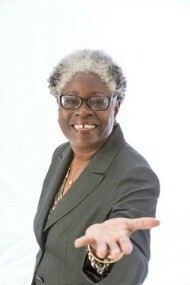 Is Outsourcing for Nurse Entrepreneurs right for you? YES, if you have an existing nurse business, or want to start your business with solid systems. YES, if you want to spend less time working IN your business and more time making a difference in the world, then you will love Outsourcing for Nurse Entrepreneurs. You will learn how to systematically take things off your plate and hand them off to your smart, caring team. Outsourcing for Nurse Entrepreneurs is a 6 module, step-by-step virtual training that’s guaranteed to show you the exact steps our presenter takes to successfully outsource in her business. This training was designed for nurses in consultation with nurses. You will know exactly how to determine what to outsource, how to select the right teammate based on indicators and what to write to ensure you get what you are expecting. Nothing is left out. You’ll learn how to think about budget and what to do if you don’t like the end result – both can be tricky to handle on your own. Both your mood (and your income) will be elevated when you have a smart, caring team to turn to. Never wonder again, how will I ever get it all done? This module is different than most courses because we start at the emotional heart of the matter: your mindset and beliefs as an entrepreneur. After a course overview, we’ll sort through the 3 biggest lies that keep you stuck. We’ll outline all the benefits that outsourcing holds for you as a solopreneur. You’ll learn how to give yourself permission to trust and let go! You will also identify areas for improvement/outsourcing or opportunities to grow in your business. Discover what you can and should delegate. Identify areas where outsourcing can improve efficiency; use a system to identify and prioritize projects. Delegation is simply telling someone how to help you achieve. In this module, we’ll map out the steps to delegation and you’ll take the very first step. We’ll discuss the definition of outsourcing and the simple 5 step process. You will select suitable outsourcing project; learn a preparation system for an excellent end result. What can you take off your plate without worrying? 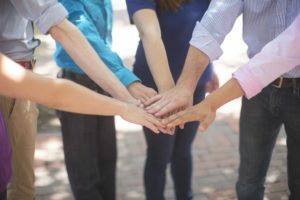 In this module, you’ll learn which projects to delegate and which to keep in-house, and how to ensure a great outcome by using the Pre-Go technique. You’ll write your own delegation list! You will use your knowledge of online, on-demand marketplaces; discover how to set standards. The world of work has changed. You now have a global workforce at your disposal. In this module, you’ll learn about the 3 most popular online marketplaces: Fiverr, Upwork and UpCounsel, how to optimize your experience so you save time & money while getting your work done satisfactorily. You’ll create your trust yardstick, discover how to pay and write a clear, compelling job post. You will have hands on experience writing a clear job posting; you’ll use best management and payment practices. You will have time to get answers to any questions about how to integrate outsourcing into your business, the platforms and the projects. In this communal learning module, you’ll be inspired by the questions you didn’t think to ask. We will have a debriefing process and you will have the end result with a goal of process improvement. Here’s a break-down of the full training course. Your tuition entitles you to lifetime access to the program materials including lessons, lesson audios, lesson transcripts, lesson worksheets—all conveniently stored in one place. Login and refresh yourself anytime. All sessions are recorded. You will receive the recordings of the Q&A calls and the transcripts of the calls. Founder & CEO of Outsource Easier, a training & consulting company, Dina excels putting the pieces of a problem together to solve a problem. Dina loves helping nurse entrepreneurs to harness the awesome power of outsourcing–to master the on-demand marketplace, to delegate without waste or fear, and to find the right smart, caring teammates that uplift you. Dina was honored by the Boston Business Journal as a Forty under 40 Business Leader, and received a Lifetime Achievement award from the Society of Dispute Professionals. Dina is a graduate of the Executive MBA program at the Tuck School of Business, Dartmouth University. 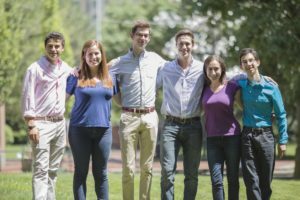 Why This Matters to Dina? Dina started her legal career in medicine, prosecuting doctors for sexual misconduct and chemical dependency. There were many caring nurses who stood in the integrity to help her do her job and lost theirs because of it. Nurses can be amazing entrepreneurs. You possess all the qualities – grit, dedication, intellect, emotional intelligence, creativity – that make for rockstar entrepreneurs. Big hearted entrepreneurs who love to serve like you need a different approach to business that feels good when Dina was coaching mediators on marketing. This course embraces that and is designed to help you build a business that supports you, your values and your lifestyle — now and well into the future. This program is approved for 10 contact hours through an arrangement with Taylor College. The provider is approved by the California Board of Registered Nursing, provider number CEP-3285. CE credit is accepted in all states that require mandatory continuing education for relicensure. Call 1-800-743-4006 with CE questions. There is a $15 fee, paid directly to the provider, if you want the CE certificate for 10 hours.